The latest episode of the Cloud Business Podcast is now available for download. We talk about Managing a Team of staff in your IT company. We’d love to hear feedback, so please leave your comments and don’t forget to rate us on iTunes. 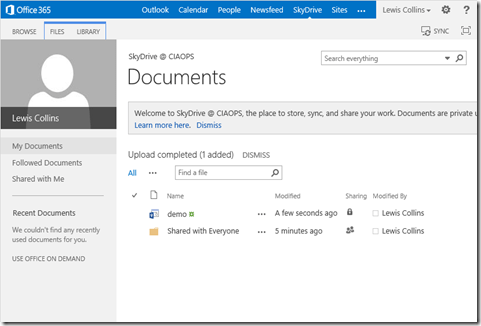 SkyDrive Pro in Office 365 is a personal area where users can store files. Every user in Office 365 currently receives 25GB of space allocated to them, that can be increased up to 100GB if desired. However, what happens if you don’t want users to have access to this web based file storage in office 365? Can it be disabled? Yes it can. Here’s how. A user’s standard SkyDrive Pro looks something like that shown above. 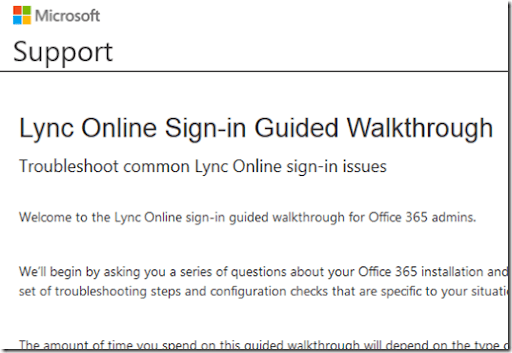 To remove this access the first thing you’ll need to do is login as an administrator to the Office 365 portal. In the top right of the portal you’ll find an Admin option, which if selected will display the menu shown above. 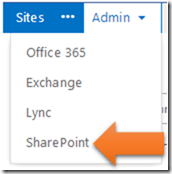 From this menu select SharePoint. 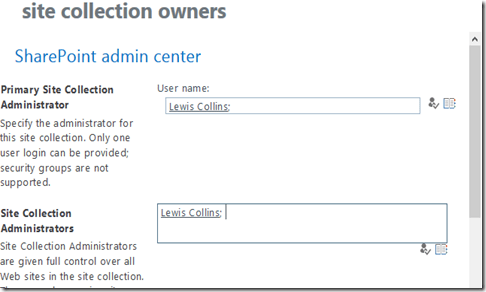 In the SharePoint admin center select user profiles from the menu on the left and then Manage User Permissions from the People section on the right. You should see here that the group Everyone except external users has the rights to Create Personal Site. 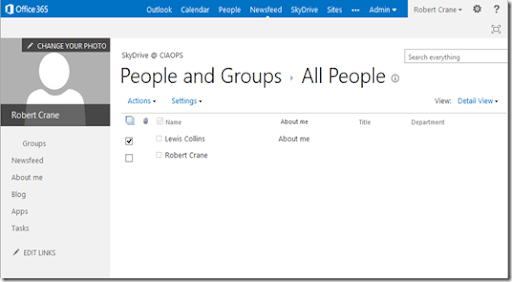 To prevent any future users from creating or accessing SkyDrive Pro simply Remove this group. 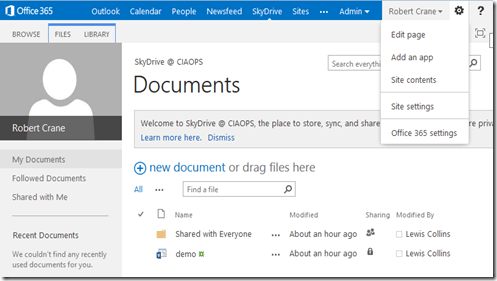 If the box is blank, as shown above then no new users will have access to SkyDrive Pro. You can of course individually add users and group in here for whom you wish to have the ability to create SkyDrive Pro at any stage. What does that look like if a newly created user now attempts to access SkyDrive Pro? When they try and access SkyDrive Pro from the menu across the top of their account by selecting SkyDrive they will be taken to the Newsfeed tab as shown above. Can you remove the SkyDrive option from the menu bar across the top of the page? Not at this stage. Now that is all well and good for NEW users, what about that already have SkyDrive Pro set up? Can that be disabled? Yes it can but the process is much more involved. however they only have read rights (like every other Office 365 licensed user) by default to another individuals SkyDrive Pro. Thus, if that administrator navigates to a users SkyDrive Pro they can view it but not make changes. This needs to be changed so the administrator can take control. 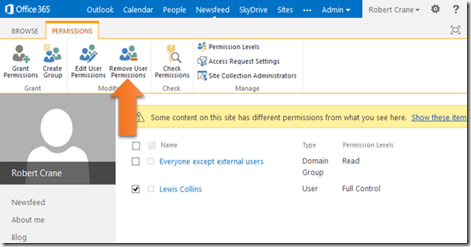 To change the ownership of an individual users existing SkyDrive Pro site you need to return to the SharePoint admin center and select Manage User Profiles from the People section in the right hand side of the screen. Now run a search for the user whose SkyDrive Pro you wish to modify. In this case Lewis Collins as shown above. On the right of the Account name you will find a down arrow which when selected will display the menu above. From this menu select Manage site collection owners. 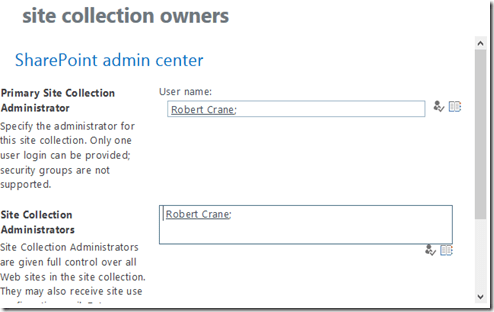 By default you will see the users name listed as the Primary and Secondary Site Collection Administrator. You’ll need to remove the user from both locations and the recommendation would be to add the administrator so that the site still can be managed. Thus now, Lewis Collins no longer should have access, only Robert Crane (i.e the tenant administrator) does. Once that is saved the administrator should now be able to access the URL of the users SkyDrive Pro and be able to edit the site. You’ll know you’ll be able to do that if when you select the Cog icon in the top right of the screen you see a menu like that shown above that includes the menu item Site Settings. Select this item to continue. Select Site Permissions from under the Users and Permissions section in the top left of the page as shown above. Select the user from the list by placing a check mark to the left of their name and then selecting Remove User Permissions from Ribbon menu. 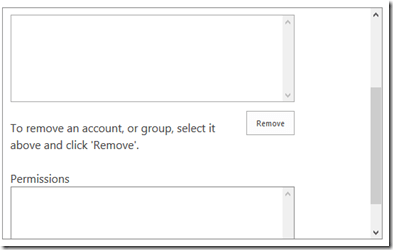 Don’t forget that the user is still a member of the group Everyone except external users, so if you don’t also edit that security group in Office 365 and remove them from there they will continue to have read access. 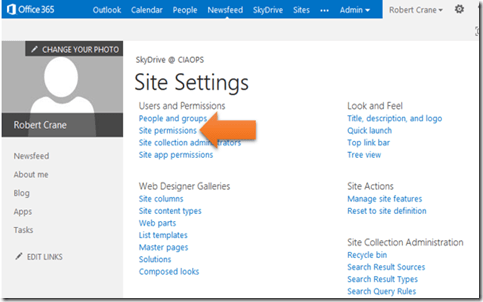 If however no one except the administrator needs access to this users SkyDrive Pro Site then simply remove the group Everyone except external users using the same process above. In this case we only want the administrator to have access so we have removed everything displayed. 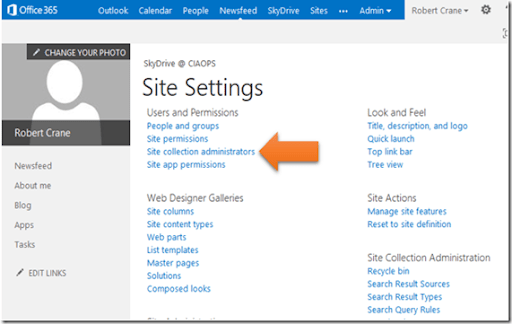 The administrator will continue to gain access to the site no matter what rights are modified in the actual SharePoint site because they where made a Site Collection administrator previously. Return to Site Settings using the Cog in the top right hand corner of the window. 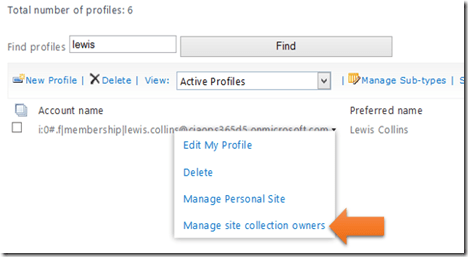 Now select Site collection administrators from the Users and Permissions section in the top right as shown above. If any items appear in here that you don’t want to gain access (i.e. the user Lewis Collins) remove them and press OK to save. 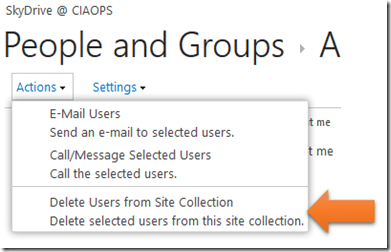 Return to Site Settings again and this time select People and Groups at the top of the Users and Permissions section. If the user appear here, place a check to the left of their name and then select the Actions menu. From the menu select Delete users from Site Collection. You might ask why didn’t I do that first and remove the user from the Site Collection in one action? The reason is, I wanted to illustrate how many locations it is possible to provision rights. I would therefore highly recommend you check all areas I have run through here to ensure the user no longer appears. 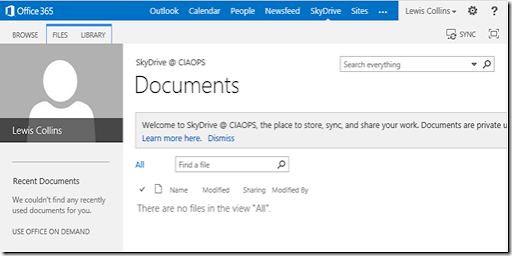 Now when a user visits their SkyDrive Pro they will no longer see any files or they will no longer be able to upload documents. Basically, they have no access. 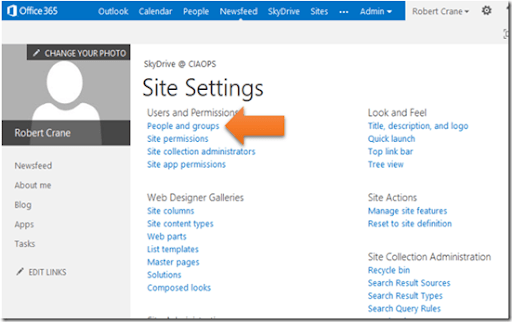 You need to beware of the fact that a users SkyDrive Pro area is a dedicated SharePoint site in which the user has full admin rights when it is created. 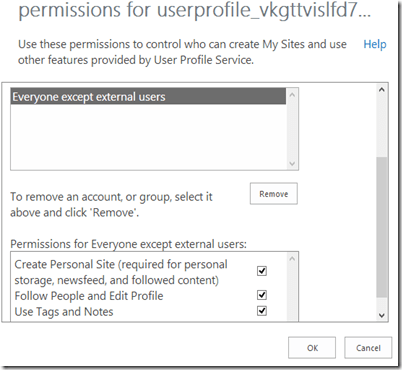 This means that can change permissions, create subsites with different permissions and so on. It is like giving users full access to a folder on a network drive. 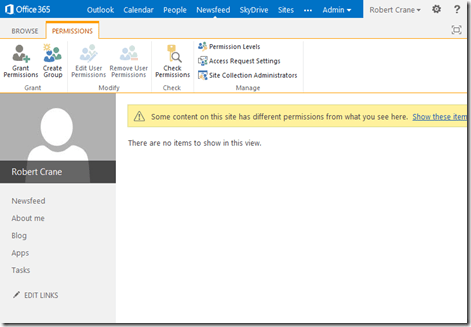 The easiest way to prevent a user from accessing SkyDrive Pro is to disable the account or remove their rights to SharePoint, however the above scenario illustrates that you can still permit access to SharePoint but not SkyDrive Pro, even if SkyDrive Pro for that user has already been created. It is a lot of work to do that but at least you know how to if you need to. Just beware that there may be further permissions enabled by a user (perhaps giving buddy hidden access) that you may have to dig out. Finger crossed, most users won’t alter the defaults but beware they certainly have the power to if they want by default! Some great and interesting insights here. Especially around the fact that Microsoft is ham strung by existing users who don’t want things to change. Couldn’t agree more. Now that we have services like Office 365 and Google Apps the only thing that is left is virtual desktops and it seems like it has commercially arrived with Amazon WorkSpaces. This means you’ll be able to get a standard Windows desktop that will be locked down and controlled no matter where it is accessed from. You’ll now get the same experience on a desktop, mobile device or where you have Internet access. How much easier is it going to be able to support a totally controlled desktop environment all the in the cloud? More importantly, since this is going to be a per user per month arrangement like other cloud services what does that mean for a traditional IT reseller? How easy will be it be to walk into a prospect and be able to provide them with a consistent, controlled desktop environment across every device without them having to upgrade anything? I reckon that is going to sound pretty enticing from a customers point of view. How are traditional resellers, who only sell on premise upgrades going to fair? Simple, they aren’t. It may be early days for this concept of virtual desktops but I have a feeling that both Microsoft (especially) and maybe Google will do something similar. If you are an IT reseller of traditional on premise stuff, your opportunity to sell servers is fast disappearing with things like Office 365 and now the same is happening with desktops. As much as that is a threat to some, to others it is a MASSIVE opportunity because it gives them something they have always wanted, full control and management of d a desktop environment from anywhere. How much better service could you provide a customer with this virtual desktop environment? How much better could you manage it? The mind boggles. Virtual desktops is simply the next step in the change we see with cloud computing. Are you on board with this? If not, the train is pulling away from the station in my books. You have always been able to work on documents simultaneously in Office Web Apps and Word on the desktop with SharePoint Online in Office 365, the only difference was that it would do a paragraph lock. This differed from the Google Docs approach which showed you real time editing of everyone. Basically you could follow every change they made to a document. Microsoft’s research indicated that was distracting to authors (and it is for me I know) so that is why they initially did it the way they did. This now makes the Office 365 editing experience more like that in Google Docs and removes a perceived difference between the products (and to be honest what appeared like a limitation in Office 365 even though it wasn’t). That is great news for Office 365 and makes the sell to customers who want a Google Apps like web editing experience much easier. It will be interesting to see what Google does about this as puts the ball back in their court to come up with another differentiator. In fact, I think it puts the pressure squarely on them to come up with something as rich as what Office Web Apps is. Google Apps is looking pretty basic compared to Office Web Apps these days I reckon.